“Grace to you and peace from him who is and who was and who is to come.” That is a nice sentiment to express, but how do we know it is real? How can we be certain that this is not some fanciful hope? First, this blessing does not come from one another; it comes from “him”—from the eternal Father, perfect Spirit, and risen Son. The Holy Trinity stands behind this blessing of grace and peace. Second, this peace is substantiated on having been freed from our sins through the blood of the Savior. We may remain at peace despite our sins or the tribulations of this world, because we know that God loved us so much that he paved the way to real peace. Jesus is that way (John 14:6). 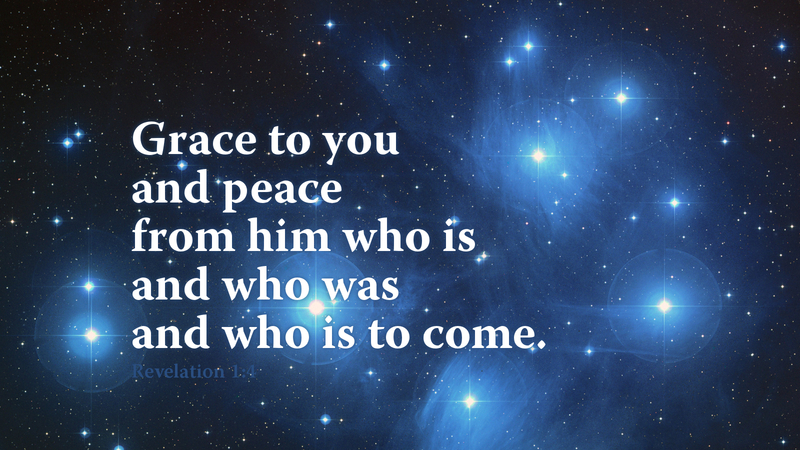 He is the peace (John 14:27) promised in our blessing. Prayer: Come quickly, Lord Jesus. Amen.